Atlanta (February 4, 2019) – On Friday, January 25, the Atlanta Community Food Bank broke ground for a new facility that will allow it to triple its distribution of food to those in need. The Chick-fil-A® Foundation donated $1 million as part of a capital campaign to fund the new building. According to the Food Bank, approximately one out of every four kids in Georgia lives in a food insecure household and an estimated 820,000 people in the organization’s 29-county service area experience hunger and food insecurity annually. Sometimes, this insecurity is caused by a lack of money, where parents must choose between paying for food or paying for utilities. Other times, it’s due to a lack of resources, like reliable transportation. Whatever the cause, the Food Bank is working hard to reach these families where they are: last year, through its network of 600 nonprofits across the state, the Food Bank distributed 61 million meals to Georgia families in need. Through the Growing Healthy Futures capital campaign, the Food Bank is hoping to be able to reach even more Georgians. Andrew Cathy, senior vice president and chief people officer at Chick-fil-A, Inc., is serving as campaign co-chair. Kyle Waide, president and CEO of the Food Bank, agrees. 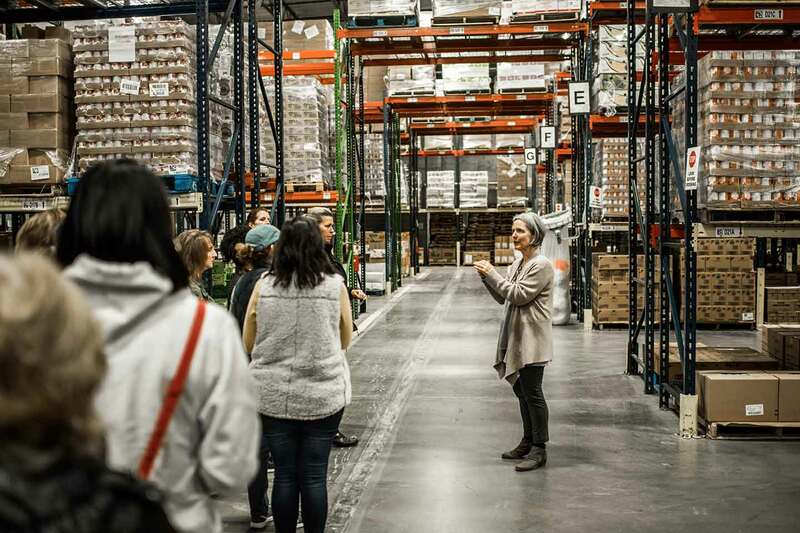 “The Growing Healthy Futures campaign will enable the Food Bank to fully harness one of our most abundant assets — food — to build a stronger community where none of our neighbors go hungry and we all have the opportunity for a healthy future,” he said. The Chick-fil-A Foundation has a mission to help every child become all they can be and provides funding to programs and organizations that are working on the ground to support youth in Chick-fil-A’s local communities. The Food Bank’s new headquarters in East Point, Georgia, is scheduled to open by spring 2020. The Chick-fil-A Foundation is the corporate foundation of Chick-fil-A, Inc. A not-for-profit organization, the Foundation’s purpose is to lead the company’s commitment to support youth and education in Chick-fil-A’s local communities. The Foundation’s work is focused on developing and educating young people, so they can build a positive legacy and become all they can be. For more information, visit www.chick-fil-afoundation.org.